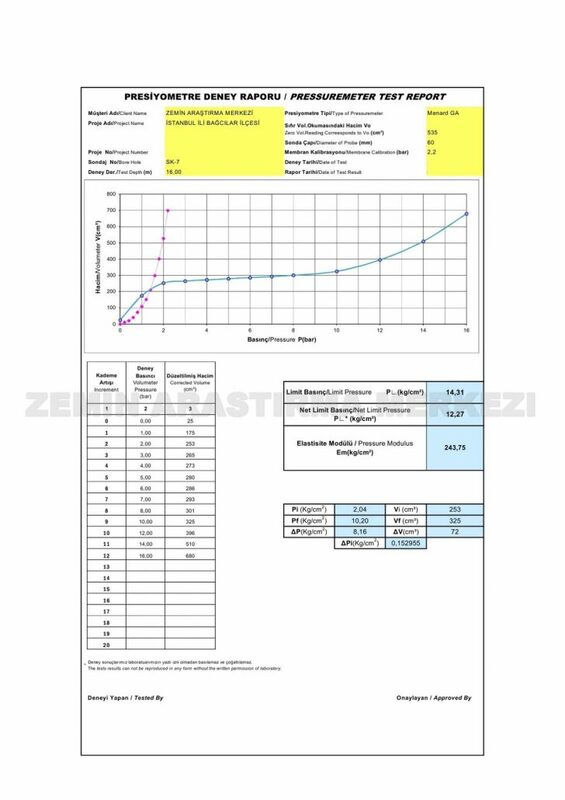 The pressuremeter test is an in-situ testing method which is commonly used to achieve a quick and easy measure of the in-situ stress-strain relationship of the soil which provides parameters such as the elastic modulus. The pressuremeter test is an in-situ testing method used to achieve a quick measure of the in-situ stress-strain relationship of the soil. 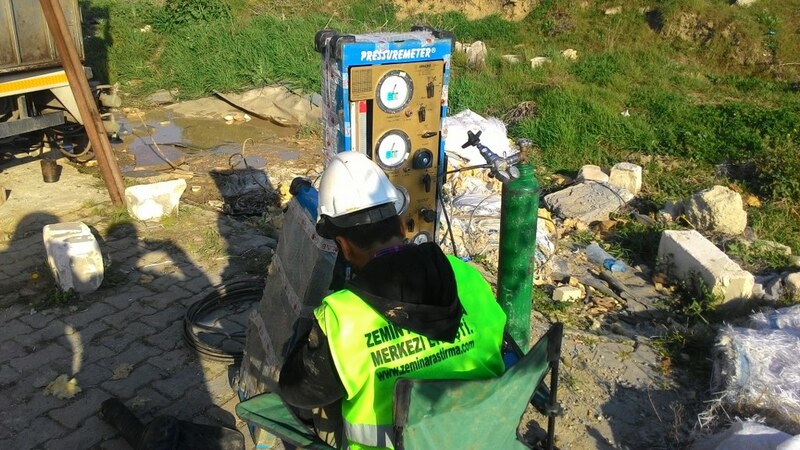 In principle, the pressuremeter test is performed by applying pressure to the sidewalls of a borehole and observing the corresponding deformation. 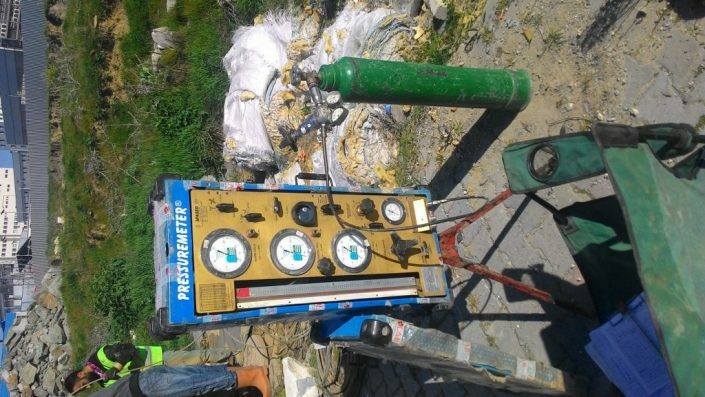 The pressuremeter consists of two parts, the read-out unit which rests on the ground surface, and the probe that is inserted into the borehole (ground). The original Ménard-type pressuremeter was designed to be lowered into a performed hole and to apply uniform pressure to the borehole walls by means of inflatable flexible membrane. As the pressure increases, the borehole walls deform. The pressure is held constant for a given period and the increase in volume required for maintaining the constant pressure is recorded. A load-deformation diagram and soil characteristics can be deduced by measurement of the applied pressure and change in the volume of the expanding membrane. 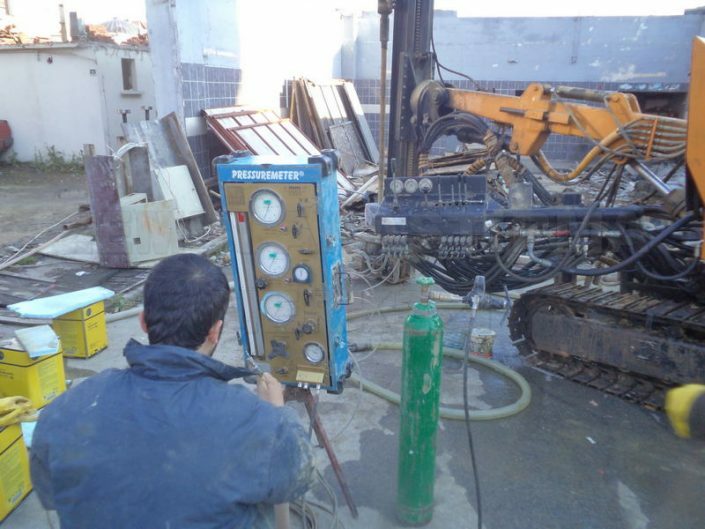 The borehole pressuremeter: The instrument is inserted into a performed hole. The self-boring pressuremeter: The instrument is self-bored into the ground with the purpose of minimizing the sol disturbance caused by insertion. 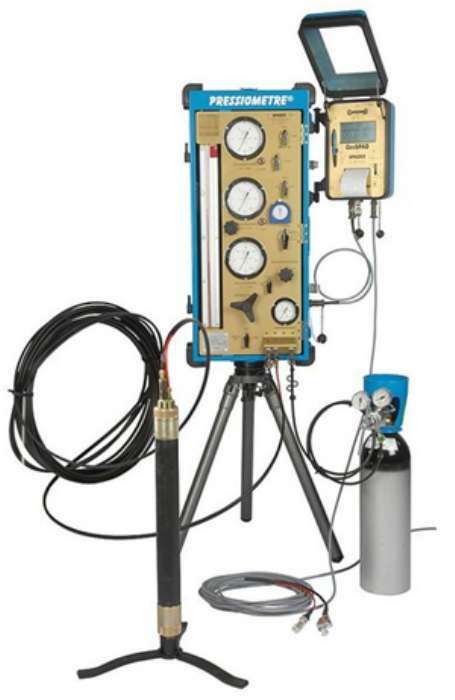 Displacement pressuremeters: The instrument is pushed into the ground from base of a borehole. The soil displaced by the probe during insertion enters the body of instrument, reducing the disturbance to the surrounding soil (see Cone-pressuremeter). There are different approaches the interpretation of results and the determination of material properties from pressuremeter tests. In general, these approaches rely either on empirical correlations to allow measured co-ordinates of pressure and displacement to be inserted directly into design equations, or on solving the boundary problem posed by the pressuremeter test.